Submitted by sherry on July 5, 2008 – 1:57 p.m.
Hi, this is Felix Wong calling at 1:18 on Saturday, July 5th. I’m now in El Rito, NM. Things are going well. After I got the cyclometer in Chama, my spirits have been way up. My legs have been feeling very good. Very strong yesterday, maybe not quite so strong today. 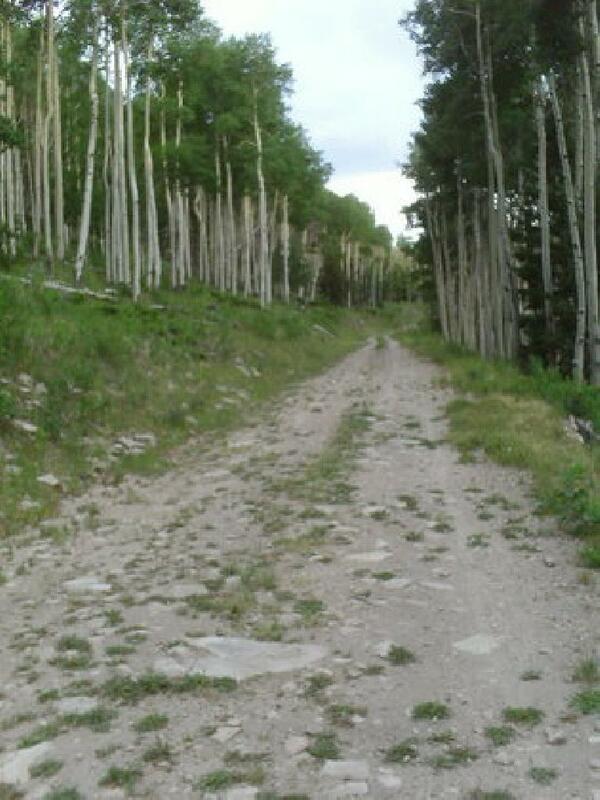 I got into NM yesterday finally and the trail was very rocky, very rolling, steep in some sections, very rutted. However, I thought it was actually quite fun to ride on. Any day when I’m make forward progress as opposed to trying to solve problems or dealing with hypothermia is a good day. It’s great to be putting on some miles and making some forward progress again. I hope to be doing triple digit mileage for the duration of the race. We’ll see. The next section coming up is going to be very difficult. Probably most difficult part of the race. I think my legs I’m feeling up to it. I’m going to get some supplies right now, some food. I’ll be on my way. We’ll see how far I can get today. Bye. Climbing while 105 degrees; encountered three motorcyclists. Encountered Simon, a racer from the Great Divide Race (GDR). Jen (British GDR racer whom I met in Banff and was riding a single speed) was behind him, he said. Climbing: sand, lava, ruts. But was climbing super well! Rear rack eyelet popped out on rocky rutted trails. Had to use a zip tie.